A lot of old products and a few new tools came together for these cards. I used the Gelli Plate with paint to do the backgrounds on some old book paper. 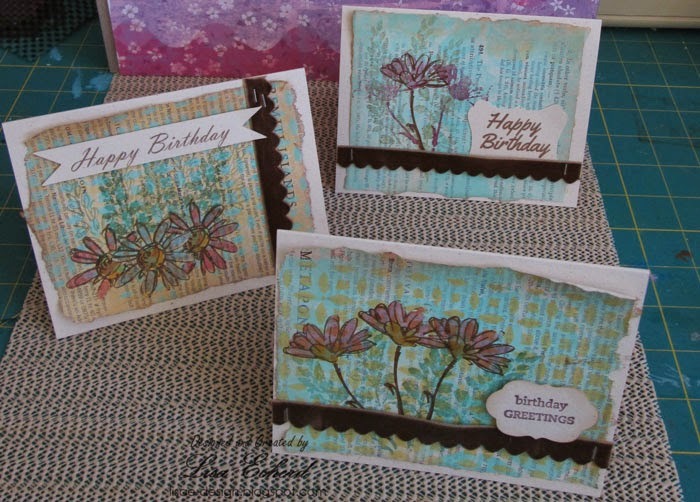 The prints are subtle but the Gelli Plate is a great way to get a very even application of color. 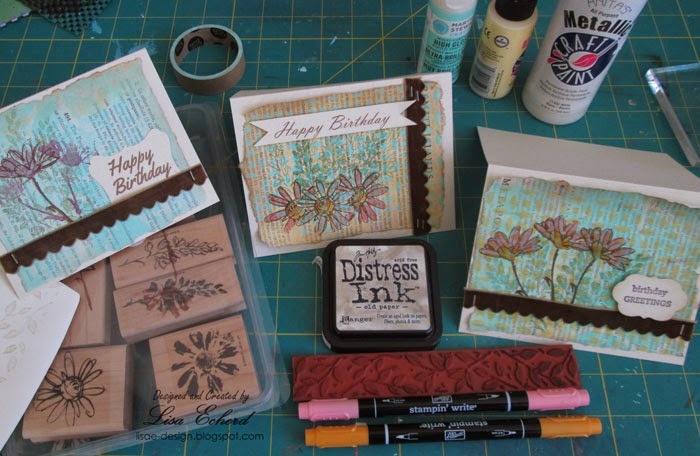 The stamp set is one from Stampin' Up! that was retired by the time I acquired it. I used Stampin' Up! markers for coloring the designs. Two of the greetings were done using the Print and Cut feature on the Silhouette. With all my stamps, I still don't have a very good "Happy Birthday" greeting. Doing cards in the evenings is a great stress relief for me. Thanks for stopping by today! I plan to have a new scrapbook process video up this week. These are so pretty, Lisa! Gorgeous cards - and good job combining old and new!